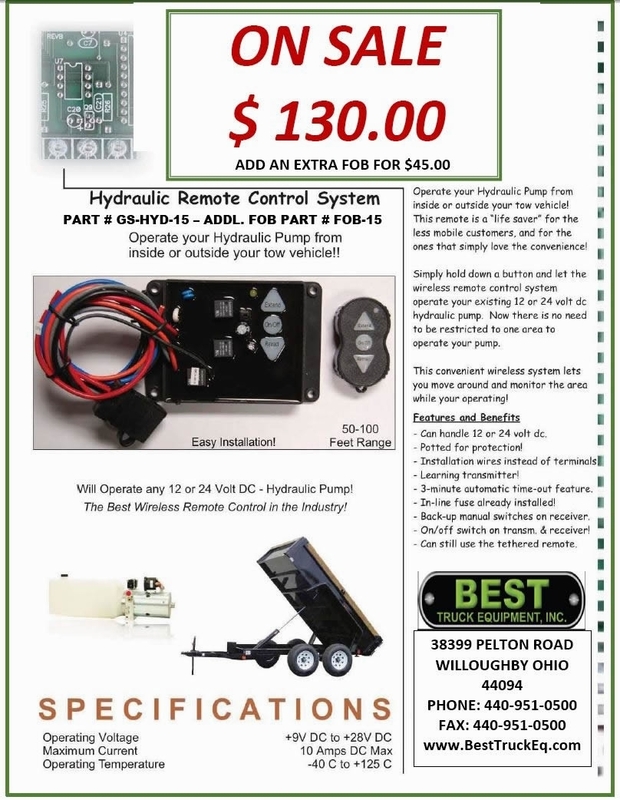 Operate your Hydraulic Pump from inside or outside your tow vehicle! This remote is a "life saver" for the less mobile customers, and for the ones that simple love the convenience! 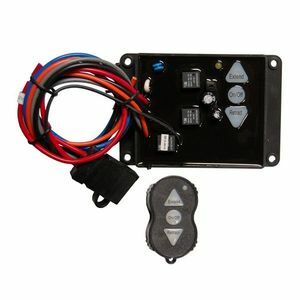 Simply hold down a button and let the wireless remote control system operate your existing 12 or 24 volt dc hydraulic pump. Now there is no need to be restricted to one area to operate your pump. The convenient wireless system lets you move around and monitor the area while your operating! - Can handle 12 or 24 volts dc. - Installation wires instead of terminals. - 3 minute automatic time-out feature. - In-line fuse already installed. 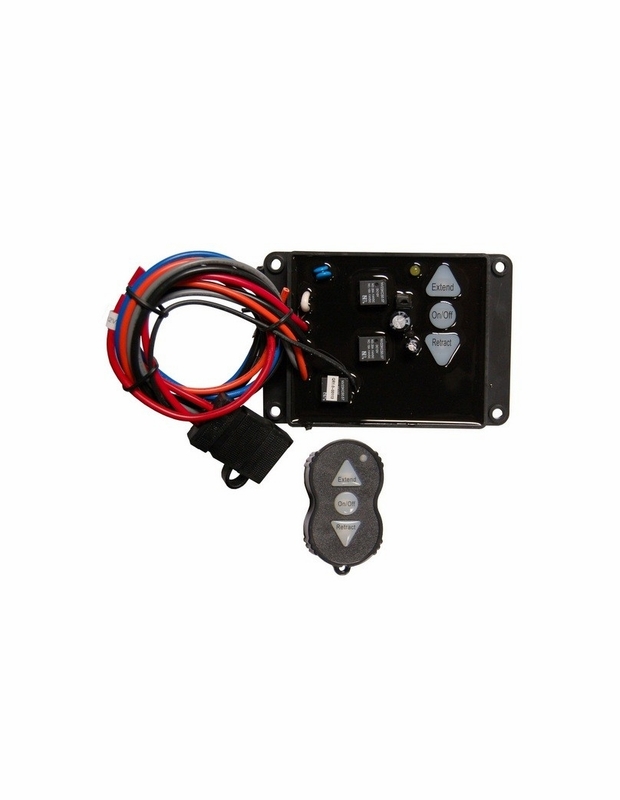 - Back-up manual switches & receiver. - On/Off switch on transmitter and receiver. - Can still use the tethered remote. Operating Temperature - -40 C to +125 C.